Nothing is so beautiful as spring, especially when you're riding a bike. I've wiped down my Pashley Roadster Sovereign ready for some fair-weather cycling. 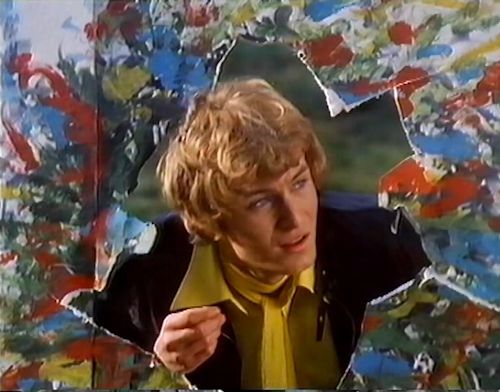 If we get a particularly nice day, I might reenact a few scenes from Les Bicyclettes de Belsize, a British short musical film from 1968. The film title parodies the 1964 French musical Les Parapluies de Cherbourg starring the delightful Catherine Deneuve. The eponymous theme song to the film was a hit for Englebert Humperdinck and Mireille Mathieu (in French below). 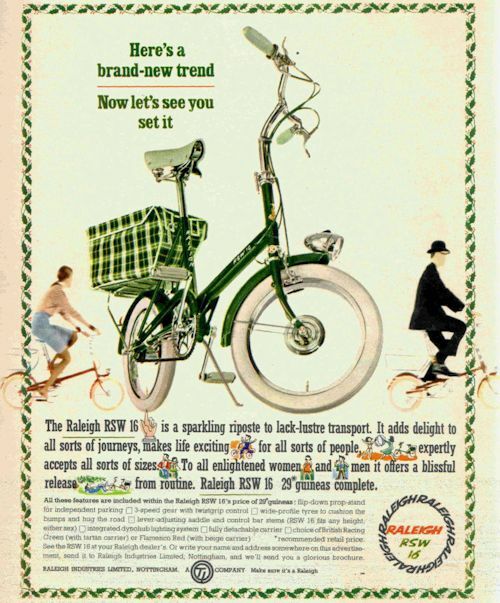 In Bicyclettes, we see our hero Steve, played byAnthony May, peddling around Hampstead on a Raleigh RSW16 — a commuter bike intended to compete with the Moulton. Out on his ride, Steve falls in love with a model named Julie, played by Judy Huxtable. His first encounter with Julie is as an image on a billboard, and he is smitten. Naturally, they meet in real life and dreams come true. 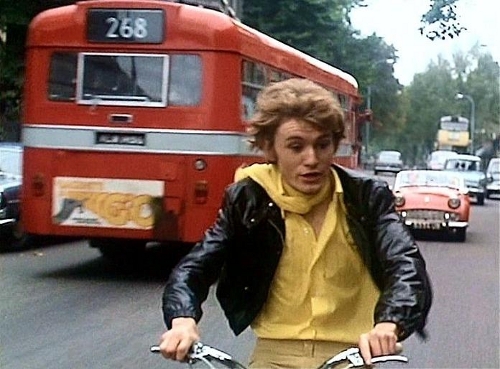 The film is a wee delight, and a capsule of late (and sadly missed) 1960s London. Nonsense to think it might be broadcast on TV again — too charming. However, it is possible to locate it on DVD, packaged with The London Nobody Knows. Music for the film was composed by Les Reed and Barry Mason. The original soundtrack might be hard to find. It was released as one side of an LP, with the other side featuring the Bernard Herrmann soundtrack to the excellent British horror flick Twisted Nerve ('Cleaver, Cleaver, Chop, Chop, first the mom and then the pop.'). The films were played as a double feature in cinemas. A strange pairing, I have to say. Thankfully, the songs to Bicyclettes are now available individually. Johnny Worth provided the singing voice for Anthony on songs such as Free as Air and Julie, which have a decent Bowie/Newley feel to them.